One of the most misunderstood things in car accident cases is who pays for the damage to the vehicle following the car accident. Logic would tell you that the wrong-doer responsible for the accident would have to pay for the damage. This makes complete sense, but sometimes, the law doesn't. Under Ontario's no-fault accident benefit system, your own car insurance company pays for the damage to your vehicle, no matter whose fault the accident was. So, even if you were hit by a drunk driver who ran a red light, and he was pled guilty to drunk driving and dangerous driving, and he also wrote you a lengthy apology note admitting his guilt, it won't matter. Your car insurance company pays for the damage to your vehicle. Your car insurance company then has the option to recover the total payout from the at fault driver, or their insurance company. This is called a " subrogated interest". It is entirely up to your insurance company whether or not they pursue this subrogated interest against the at fault driver. No matter how much you beg the insurance company to make the wrong doer pay for his actions, they don't have to do anything if they don't want to. It's also worth noting that the adjuster you will deal with for the damage to your vehicle of called a "property adjuster". These adjusters are different than those adjusters who handle your accident benefit or pain and suffering claim. The "property adjusters" job is to determine the extent of damage to your vehicle, and compensate you for that damage. You may run into problems when you believe that your used low mileage car had far greater value than the value which the insurance company assigns to it. Example: Your 2005 Honda Accord had 60,000km and drove like a dream. It was written off in a car accident. The actual value of the car was $12,500 because it drove so well. But, the insurance company follows a strict Blue Book value and has assessed the replacement value at $8,000. That's a $4,500 short fall you have with your insurance company. 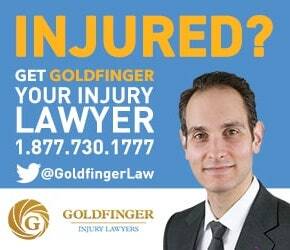 In these sort of cases, the best thing to do is to ask your personal injury lawyer to assist you, or to sue in Small Claims Court. Small Claims Court isn't so small anymore. The limit used to be $10,000. It's now set at $25,000, making it an excellent forum for these sort of property disputes over the replacement value of a damaged vehicle.